In the most simple of terms, economies consist of producing goods and exchanging them; they are fundamentally social systems. Economies can be formal or informal, and economic activity can occur in various economic systems. 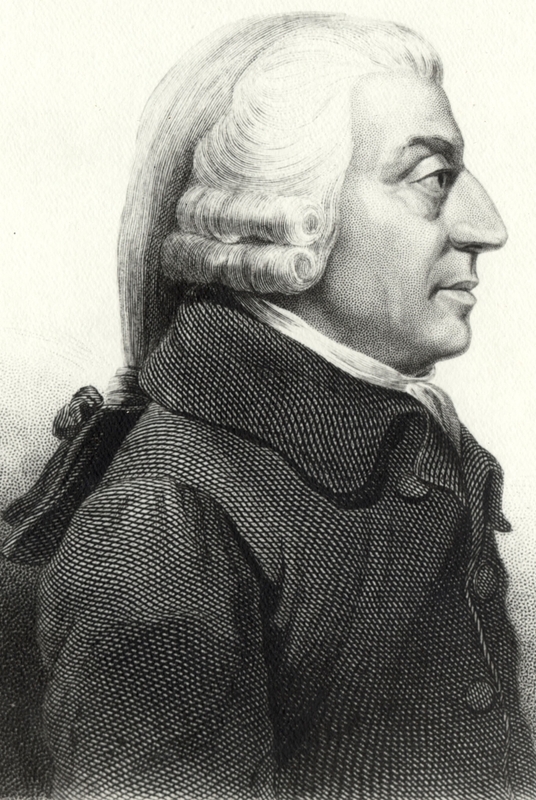 Adam Smith is credited with formalizing capitalism in his 1776 book, The Wealth of Nations. Capitalism results from the interaction of commodities, money, labor, means of production, and production by consumers, laborers, and investors. The government avoids significant interference in the economy— the economy relies upon the law of supply and demand. Socialism is another type of economic system that seriously reorients the social and political institutions associated with the economy. Socialism and communism emphasize the public ownership of the means of production and public reallocation of wealth. An informal economy is economic activity that is neither taxed nor monitored by a government; the terms “under the table” and “off the books” typically refer to this type of economy. Informal economic activity can be found in various economic systems. Many European countries have robust socialist parties and policies. production: Production is the act of creating output, a good or service which has value and contributes to the utility of individuals. money: A generally accepted means of exchange and measure of value. economy: The system of production and distribution and consumption. The overall measure of a currency system; as the national economy. In the most simple of terms, economies consist of producing goods and exchanging them. Economies can be divided into formal economies and informal economies. A formal economy is the legal economy of a nation-state, as measured by a government’s gross national product (GNP), or the market value of all products and services produced by a country’s companies in a given year. Informal economies are frequently less institutionalized and include all economic practices that are neither taxed nor monitored by a government. Economies are fundamentally social systems. They require exchanges or transactions; it is impossible for an individual to participate in an economy entirely independent of others. One cannot think of economies as discrete entities; economic systems necessarily interact with social and political systems. Capitalism is an economic and social system in which capital and non-labor factors of production, or the means of production, are privately controlled; labor, goods, and capital are traded in markets; profits are taken by owners or invested in technologies and industries; and wages are paid to laborers. Though capitalism has developed incrementally since the sixteenth century, Scottish philosopher and economist Adam Smith is largely credited with outlining the theory in its most fully-fledged form in his 1776 tome An Inquiry into the Nature and Causes of the Wealth of Nations. A market is a central space of exchange through which people are able to buy and sell goods and services. In a capitalist economy, the prices of goods and services is mainly controlled through the principles of supply and demand and competition. “Supply and demand” refers to the balancing of the amount of a good or service produced and the amount available for sale. Prices rise when demand exceeds supply and fall when supply exceeds demand. The market coordinates itself through pricing until a new equilibrium price and quantity is reached. Competition arises when many producers are trying to sell the same or similar kinds of products to the same buyers. Though the market is encouraged to act on its own, in any capitalist economy, the government is intimately involved in regulating the economy. This can be done through anti-trust laws or minimum wage laws. On a far more basic level, the government allows individuals to own private property and individuals to work where they please. The government generally allows businesses to set wages and prices for products without much interference. The government is responsible for issuing money, supervising public utilities, and enforcing private contracts. Laws protect competition and prohibit unfair business practices. Government agencies regulate the standards of service in many industries, such as airlines and broadcasting, and they finance a wide range of programs. Additionally, the government regulates the flow of capital and uses methods such as interest rates to control factors such as inflation and unemployment. Though the government in capitalist nations largely adheres to the basic principles of economic interference, it largely engages with the economy. Karl Marx: Religion, Marx held, was a significant hindrance to reason, inherently masking the truth and misguiding followers. Capitalism functions in distinction from socialism, or various theories of economic organization that advocate public or direct worker ownership and administration of the means of production. Socialism calls for public allocation of resources, creating a society characterized by equal access to resources for all individuals with a method of compensation based on the amount of labor expended. Many socialists criticize capitalism for unfairly concentrating power and wealth among a small segment of society that controls capital and derives its wealth through the exploitation of lower classes. An informal economy is economic activity that is neither taxed nor monitored by a government. Although the informal economy is often associated with developing countries, all economic systems contain an informal economy in some proportion. Informal economic activity is a dynamic process which includes many aspects of economic and social theory: exchange, regulation, and enforcement. By its nature, the informal economy is difficult to observe, study, define, and measure. 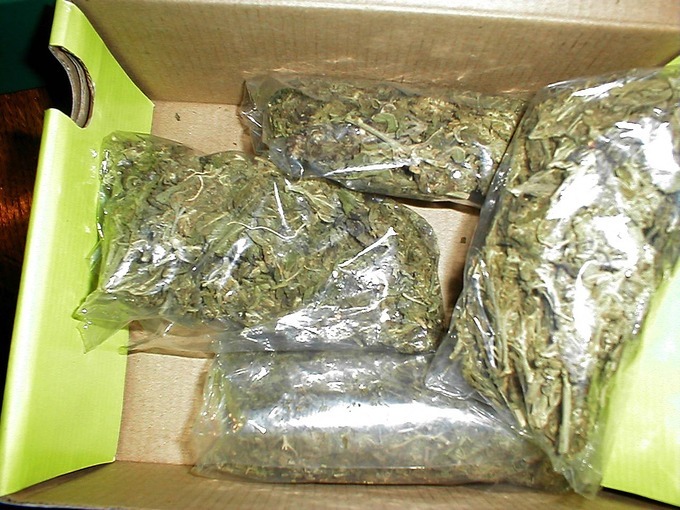 The terms “under the table” and “off the books” typically refer to this type of economy, and there are various examples for this type of economic activity, including the sale and distribution of illegal drugs or unreported payments for house cleaning or baby sitting, among others. Capitalism is a system that includes private ownership of the means of production, creation of goods for profit, competitive markets, etc. Economists usually focus on the degree that government does not have control over markets (laissez-faire), and on property rights. Most political economists emphasize private property, power relations, wage labor, and class and emphasize capitalism as a unique historical formation. Market failure occurs when an externality is present and a market will either under-produce a product with a positive externalization or overproduce a product that generates a negative externalization. The extension of universal adult male suffrage in 19th century Britain occurred with the development of industrial capitalism, and democracy became widespread at the same time as capitalism, leading many theorists to posit a causal relationship between them—claiming that one affects the other. wage labor: The socioeconomic relationship between a worker and an employer, where the worker sells their labor under a formal or informal employment contract. voluntary exchange: Voluntary exchange is the act of buyers and sellers freely and willingly engaging in market transactions. Moreover, transactions are made in such a way that both the buyer and the seller are better off after the exchange than before it occurred. externality: In economics, an externality, or transaction spillover, is a cost or benefit that is not transmitted through prices and is incurred by a party who was not involved as either a buyer or seller of the goods or services causing the cost or benefit. Capitalism is generally considered by scholars to be an economic system that includes private ownership of the means of production, creation of goods or services for profit or income, the accumulation of capital, competitive markets, voluntary exchange, and wage labor. The designation is applied to a variety of historical cases, which vary in time, geography, politics, and culture. Economists, political economists and historians have taken different perspectives on the analysis of capitalism. Economists usually focus on the degree that government does not have control over markets (laissez-faire economics), and on property rights. Most political economists emphasize private property, power relations, wage labor, class and capitalism’s as a unique historical formation. Capitalism is generally viewed as encouraging economic growth. The differing extents to which different markets are free, as well as the rules defining private property, are a matter of politics and policy, and many states have what are termed mixed economies. A number of political ideologies have emerged in support of various types of capitalism, the most prominent being economic liberalism. The relationship between democracy and capitalism is a contentious area in theory and popular political movements. The extension of universal adult male suffrage in 19th century Britain occurred along with the development of industrial capitalism, and democracy became widespread at the same time as capitalism, leading many theorists to posit a causal relationship between them—claiming each affects the other. However, in the 20th century, capitalism also accompanied a variety of political formations quite distinct from liberal democracies, including fascist regimes, absolute monarchies, and single-party states. Karl Marx saw capitalism as a progressive historical stage that would eventually be followed by socialism. 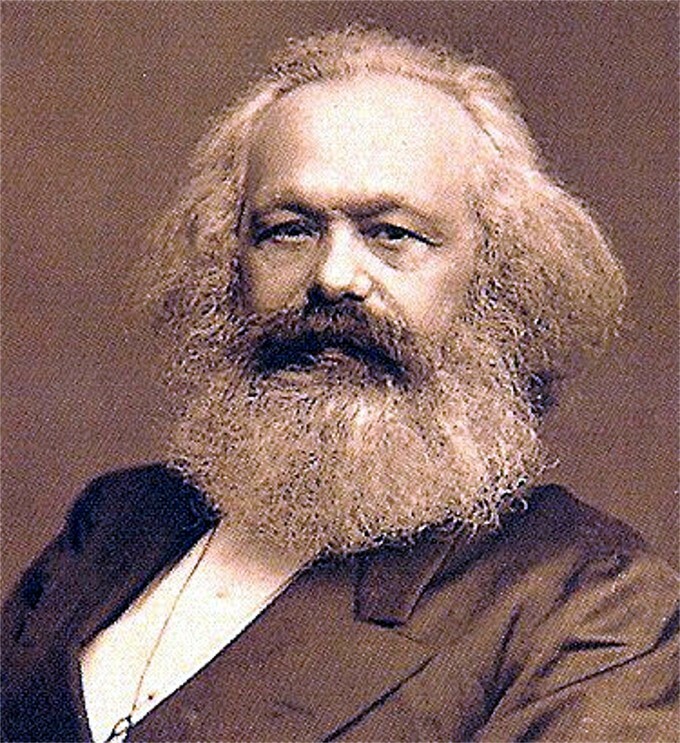 Karl Marx saw capitalism as a progressive historical stage that would eventually stagnate due to internal contradictions and be followed by socialism. Marxists define capital as “a social, economic relation” between people (rather than between people and things). In this sense they seek to abolish capital. Revolutionary socialists believe that capitalism can only be overcome through revolution. Social democrats believe that structural change can come slowly through political reforms to capitalism. Marxists define capital as “a social, economic relation” between people (rather than between people and things). Normative Marxism advocates a revolutionary overthrow of capitalism that would lead to socialism, before eventually transforming into communism after class antagonisms and the state ceased to exist. revolution: A political upheaval in a government or nation-state characterized by great change. socialism: Any of various economic and political philosophies that support social equality, collective decision-making, distribution of income based on contribution and public ownership of productive capital and natural resources, as advocated by socialists. progressive: Favoring or promoting progress; advanced. Capitalism has been the subject of criticism from many perspectives during its history. Criticisms range from people who disagree with the principles of capitalism in its entirety, to those who disagree with particular outcomes of capitalism. Among those wishing to replace capitalism with a different method of production and social organization, a distinction can be made between those believing that capitalism can only be overcome with revolution (e.g., revolutionary socialism) and those believing that structural change can come slowly through political reforms to capitalism (e.g., classic social democracy). Karl Marx saw capitalism as a progressive historical stage that would eventually stagnate due to internal contradictions and be followed by socialism. Marxists define capital as “a social, economic relation” between people (rather than between people and things). In this sense they seek to abolish capital. They believe that private ownership of the means of production enriches capitalists (owners of capital) at the expense of workers. In brief, they argue that the owners of the means of production exploit the workforce. In Karl Marx’s view, the dynamic of capital would eventually impoverish the working class and thereby create the social conditions for a revolution. Private ownership over the means of production and distribution is seen as creating a dependence of non-owning classes on the ruling class, and ultimately as a source of restriction of human freedom. Marxists have offered various related lines of argument claiming that capitalism is a contradiction-laden system characterized by recurring crises that have a tendency towards increasing severity. They have argued that this tendency of the system to unravel, combined with a socialization process that links workers in a worldwide market, create the objective conditions for revolutionary change. Capitalism is seen as just one stage in the evolution of the economic system. Normative Marxism advocates for a revolutionary overthrow of capitalism that would lead to socialism, before eventually transforming into communism after class antagonisms and the state cease to exist. Marxism influenced social democratic and labor parties as well as some moderate democratic socialists, who seek change through existing democratic channels instead of revolution, and believe that capitalism should be regulated rather than abolished. Socialism is an economic system in which the means of production are socially owned and used to meet human needs, not to create profits. Socialists critique capitalism, arguing that it creates inequality and limits human potential. Socialists maintain that capitalism derives wealth from a system of labor exploitation and then concentrates wealth and power within a small segment of society that controls the means of production. As a political movement, socialism includes a diverse array of political philosophies, ranging from reformism to revolutionary socialism, from a planned economy to market socialism. A planned economy is a type of economy consisting of a mixture of public ownership of the means of production and the coordination of production and distribution through state planning. Market socialism consists of publicly owned or cooperatively owned enterprises operating in a market economy. Socialists argue that socialism would allow for wealth to be distributed based on how much one contributes to society, as opposed to how much capital one owns. A primary goal of socialism is social equality and a distribution of wealth based on one’s contribution to society. planned economy: An economic system in which government directly manages supply and demand for goods and services by controlling production, prices, and distribution in accordance with a long-term design and schedule of objectives. market socialism: Market socialism refers to various economic systems where the means of production are either publicly owned or cooperatively owned and operated for a profit in a market economy. The profit generated by the firms would be used to directly remunerate employees or would be the source of public finance or could be distributed among the population through a social dividend. Socialism is an economic system in which the means of production are socially owned and used to meet human needs instead of to create profits. The means of production refers to the tools, technology, buildings, and other materials used to make the goods or services in an economy. Social ownership of the means of production can take many forms. It could refer to cooperative enterprises, common ownership, direct public ownership, or autonomous state enterprises. Social ownership contrasts with capitalist ownership, in which the means of production are used to create a profit. In a socialist economic system, the means of production would instead be used to directly satisfy economic demands and human needs. Accounting would be based on physical quantities or a direct measure of labor-time instead of on profits and expenses. Although socialism is often associated with Karl Marx, it has evolved to take a variety of forms. As a political movement, socialism includes a diverse array of political philosophies, ranging from reformism to revolutionary socialism, from a planned economy to market socialism. In a planned economy, the means of production are publicly owned and the government is in charge of coordinating and distributing production. By contrast, in market socialism, the means of production may be publicly or cooperatively owned, but they operate in a market economy. That is, market socialism uses the market and monetary prices to allocate and account for the means of production and the products they create. Just like in capitalism, the means of production generate profit; however, that profit would be used to remunerate employees or finance public institutions, not to benefit private owners. The Significance of Socialism: Karl Marx helped to create the system of social thought now called Marxism. Socialists critique capitalism, arguing that it derives wealth from a system of labor exploitation and then concentrates wealth and power within a small segment of society that controls the means of production. As a result, society is stratified, split into classes according to who owns the means of production and who is forced to sell their labor; as a result, individuals do not all have the same opportunity to maximize their potential. A capitalist society, they argue, does not utilize available technology and resources to their maximum potential in the interests of the public. Instead, it focuses on satisfying market-induced wants as opposed to human needs. Socialists argue that socialism would allow for wealth to be distributed based on how much one contributes to society, as opposed to how much capital one owns. A primary goal of socialism is social equality and a distribution of wealth based on one’s contribution to society, and an economic arrangement that would serve the interests of society as a whole. Socialism in Europe: Europe has far more socialist democracies than the United States. François Hollande won the French presidency on the Socialist Party ticket in 2012. Critiques of socialism generally refer to its lack of efficiency and feasibility, as well as the political/social effects of such a system. Some critics consider socialism to be a purely theoretical concept that should be criticized on theoretical grounds; others hold that certain historical examples exist, making it possible to criticize on practical grounds. Some critics of socialism argue that income sharing reduces individual incentives to work; incomes should be individualized as much as possible. Milton Friedman, an economist, argued that socialism—which he defined as state ownership over the means of production —impedes technological progress due to stifled competition. The philosopher Friedrich Hayek argued that the road to socialism leads society to totalitarianism. classical liberals: Classical liberals believe in classical liberalism, a political ideology developed in the 19th century that advocates limited government, constitutionalism, rule of law, due process, and individual liberties including freedom of religion, speech, press, assembly, and free markets. Criticism of socialism refers to a critique of socialist models of economic organization, efficiency, and feasibility, as well as the political and social implications of such a system. Some of these criticisms are not directed toward socialism as a system, but directed toward the socialist movement, socialist political parties, or existing socialist states. Some critics consider socialism to be a purely theoretical concept that should be criticized on theoretical grounds; others hold that certain historical examples exist, making it possible to criticize on practical grounds. Economic liberals, pro-capitalist libertarians, and some classical liberals view private enterprise, private ownership of the means of production, and the market exchange as central to conceptions of freedom and liberty. Milton Friedman, an economist, argued that socialism—which he defined as state ownership over the means of production—impedes technological progress due to stifled competition. He pointed to the U.S. to see where socialism fails, observing that the most technologically backward areas are those where government owns the means of production. Some critics of socialism argue that income sharing reduces individual incentives to work; incomes should be individualized as much as possible. Critics of socialism have argued that in any society where everyone holds equal wealth there can be no material incentive to work because one does not receive rewards for a work well done. 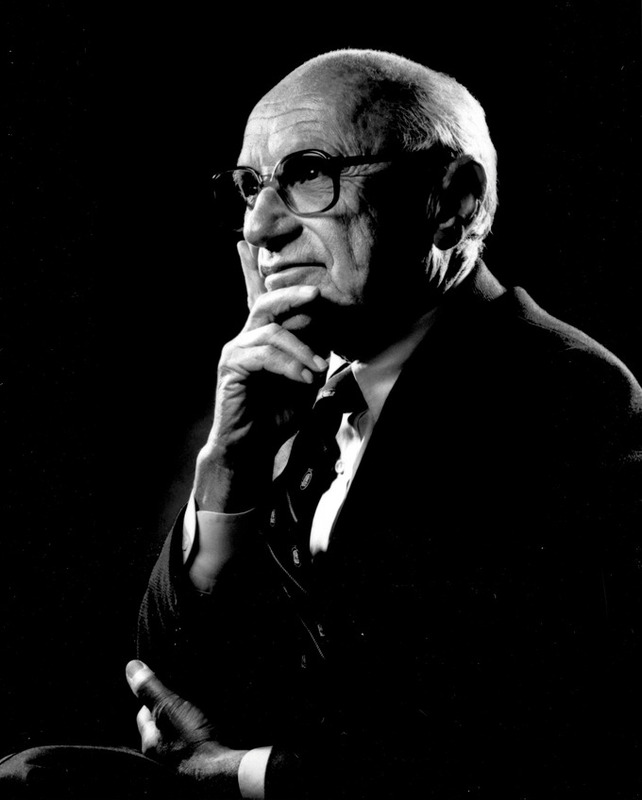 Milton Friedman: Milton Friedman argued against the effects of socialism. The philosopher Friedrich Hayek argued in his book The Road to Serfdom that the more even distribution of wealth through the nationalization of the means of production advocated by certain socialists cannot be achieved without a loss of political, economic, and human rights. According to Hayek, to achieve control over means of production and distribution of wealth, it is necessary for such socialists to acquire significant powers of coercion. He argued that the road to socialism leads society to totalitarianism, and that fascism and Nazism were the inevitable outcome of socialist trends in Italy and Germany during the preceding period. Milton Friedman argued that the absence of voluntary economic activity makes it too easy for repressive political leaders to grant themselves coercive powers. Friedman’s view was shared by Friedrich Hayek and John Maynard Keynes, both of whom believed that capitalism is vital for freedom to survive and thrive. Democratic socialism combines the political philosophy of democracy with the economic philosophy of socialism. Democratic socialism is contrasted with political movements that resort to authoritarian means to achieve a transition to socialism. It advocates the immediate creation of decentralized economic democracy from the grassroots level. Democratic socialists distinguish themselves from Leninists, who believe in an organized revolution instigated and directed by an overarching vanguard party that operates on the basis of democratic centralism. Eugene V. Debs, one of the most famous American socialists, led a movement centered around democratic socialism and made five bids for president. In Britain, the democratic socialist tradition was represented in particular by William Morris’ Socialist League and, in the 1880s, by the Fabian Society. Fabian Society: The Fabian Society is a British socialist organization whose purpose is to advance the principles of democratic socialism via gradualist and reformist, rather than revolutionary, means. Leninism: In Marxist philosophy, Leninism is the body of political theory for the democratic organisation of a revolutionary vanguard party, and the achievement of a direct-democracy dictatorship of the proletariat, as political prelude to the establishment of socialism. democratic socialism: A left-wing ideology that aims to introduce democracy into the workforce, i.e. worker cooperatives, and ensure public provision of basic human needs. Democratic socialism combines the political philosophy of democracy with the economic philosophy of socialism. The term can refer to a range of political and economic organizational schemes. On one end, democratic socialism may combine a democratic national political system with a national economy based on socialist principles. On the other end, democratic socialism may refer to a system that uses democratic principles to organize workers in a firm or community (for example, in worker cooperatives). The term is used by socialist movements and organizations to emphasize the democratic character of their political orientation. Democratic socialism contrasts with political movements that resort to authoritarian means to achieve a transition to socialism. Rather than focus on central planning, democratic socialism advocates the immediate creation of decentralized economic democracy from the grassroots level—undertaken by and for the working class itself. Specifically, it is a term used to distinguish between socialists who favor a grassroots-level, spontaneous revolution (referred to as gradualism) from those socialists who favor Leninism (organized revolution instigated and directed by an overarching vanguard party that operates on the basis of democratic centralism). The term has also been used by various historians to describe the ideal of economic socialism in an established political democracy. Democratic socialism became a prominent movement at the end of the 19th century. In the United States, Eugene V. Debs, one of the most famous American socialists, led a movement centered around democratic socialism. Debs made five bids for president: once in 1900 as candidate of the Social Democratic Party and then four more times on the ticket of the Socialist Party of America. In Britain, the democratic socialist tradition was represented historically by William Morris’s Socialist League and, in the 1880s, by the Fabian Society. 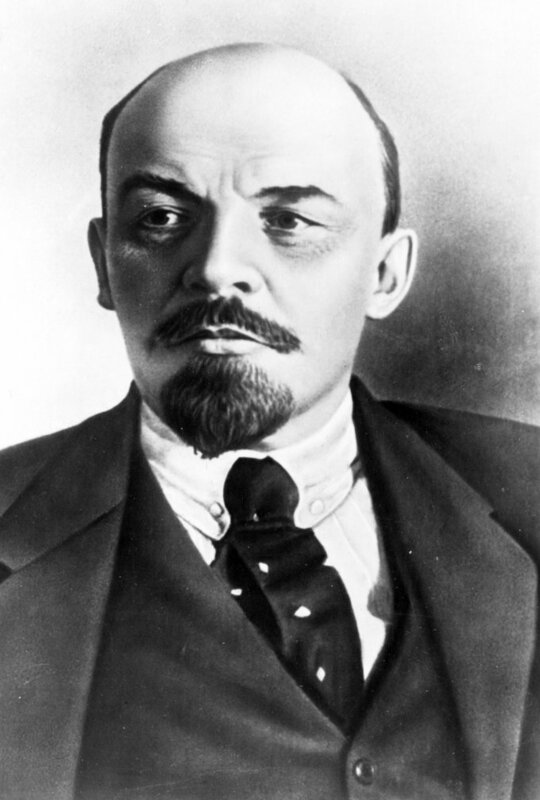 Vladimir Lenin: Leninism is based on the philosophy of Vladimir Lenin, who advocated organized revolution led by a vanguard party. 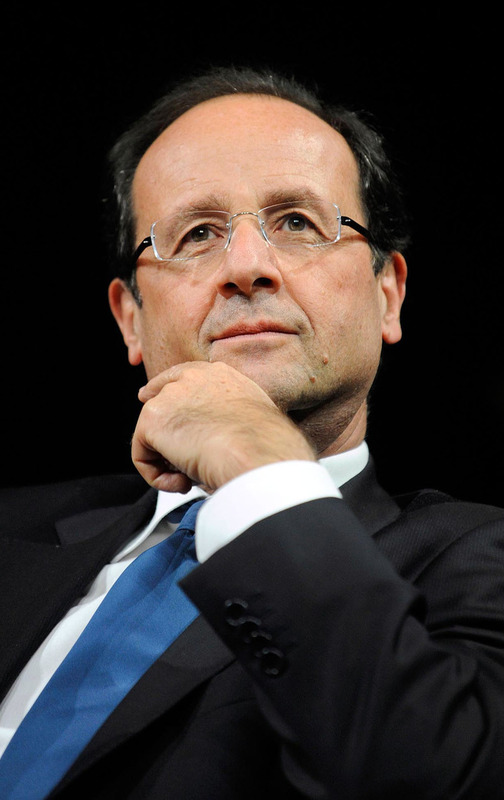 François Hollande and France: France is an example of a democratic socialist state. In 2012, French voters elected the Socialist Party candidate, François Hollande, into office with the expectation that he will meet his campaign promises to introduce greater socialist policy. Welfare capitalism refers to a welfare state in a capitalist economic system or to businesses providing welfare-like services to employees. In the United States, the mid-twentieth century marked the height of business provisions for employees, including benefits such as more generous retirement packages and health care. Not all companies provided good benefits, so workers appealed to government, which imposed minimum labor standards (e.g., the minimum wage) to protect workers. Welfare capitalism still operates in the United States, where the government ensures minimum labor standards; some companies continue to offer benefits. Welfare capitalism refers either to the combination of a capitalist economic system with a welfare state or, in the American context, to the practice of private businesses providing welfare-like services to employees. In this second form of welfare capitalism, also known as industrial paternalism, companies have a two-fold interest in providing these services. First, the companies act in a paternalistic manner, giving employees what managers think is best for them. Second, the companies recognize that providing workers with some minor benefits can forestall complaints about larger structural issues, such as unsafe conditions and long hours. Following this logic, in the nineteenth century, some manufacturing companies began offering new benefits for their employees. Companies sponsored sports teams, established social clubs, and provided educational and cultural activities for workers. Some companies even provided housing, such as the boarding houses provided for female employees of textile manufacturers in Lowell, Massachusetts. The mid-twentieth century marked the height of business provisions for employees, including benefits such as more generous retirement packages and health care. However, even at the peak of this form of welfare capitalism, not all workers enjoyed the same benefits. Business-led welfare capitalism was only common in American industries that employed skilled labor. Not all companies freely choose to provide even minor benefits to workers. As workers became frustrated with meager or nonexistent benefits, they appealed to government for help, giving rise to the first form of welfare capitalism: welfare provisions provided by the state within the context of a capitalist economy. In the United States, workers formed labor unions to gain greater collective bargaining power. In addition to directly challenging businesses, they lobbied the government to enact basic standards of labor. In the United States, the first two decades of the twentieth century—the Progressive Era—saw an increase in the number of protections the government was able to extend to workers. Yet by mid-century, many of these protections had been pushed back through the court system. Today, the government provides very basic standards by which employers must abide, such as minimum wage standards. Anything above the minimum required by the government is at the employer’s discretion. Recently, companies have begun to invest even more in the perks provided by the business in an effort to satisfy employees. Companies have found that employees make fewer demands and are more productive when they are happier, so companies such as Google have spent millions of dollars making their businesses enjoyable places to work.